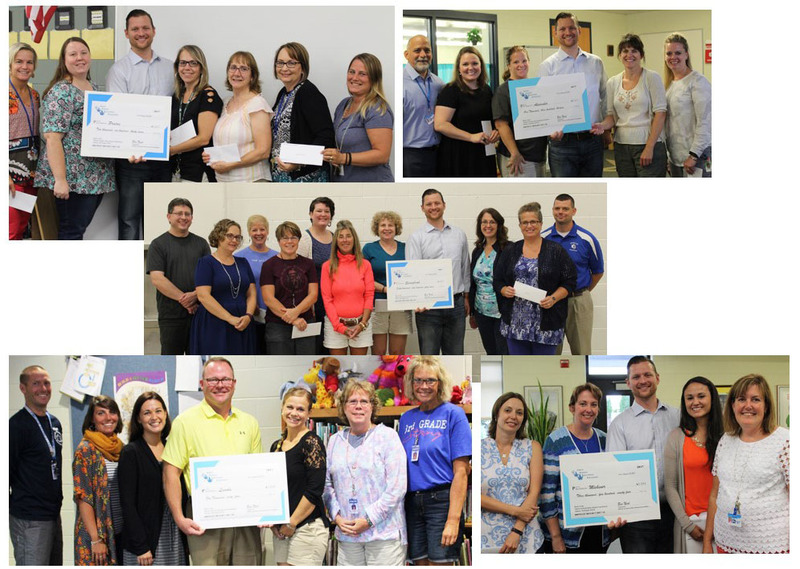 The Adrian Schools Educational Foundation has awarded a little more than $81,000 in classroom grants to Adrian Public Schools teachers for the 2017-18 school year. Many of the awards focus on classroom materials and computer software that promotes Science, Technology, Engineering and Math (STEM), while others help with literacy, building social skills and affording experiential learning through field trips. Over and above the grants, the Foundation also gave a $2,500 grant to the AHS robotics team to aid in its third season of building and programming a robot to compete in regional meets. Besides about $26,900 in regular classroom grants, the Foundation also awarded $54,400 in experiential arts grants as well as supply stipends to district visual arts teachers. This year’s arts award also contains funding to help with district band and orchestra instrument replacement and ukuleles to be used by the district’s fifth graders. Grants also include funding for maker space areas and three-D printers in each elementary building, energizing the APS focus on Science, Technology, Engineering and Math. For a full listing of the awards, click HERE.